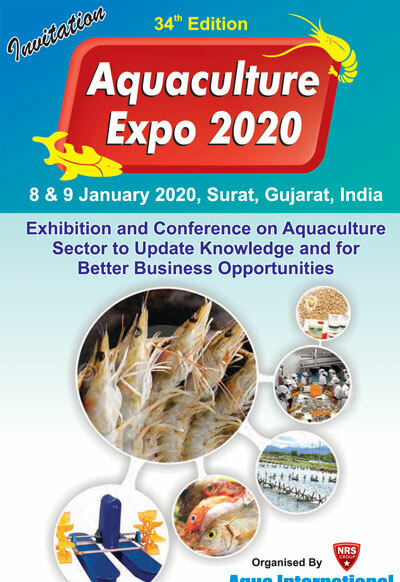 NRS Publications, publishers of Aqua International, the national English monthly magazine on aquaculture sector in India, are organizing Aquaculture Expo 2019, an exhibition and conference on aquaculture sector on 10 & 11 January 2019 at Surat International Exhibition & Convention Centre (SIECC) Sarsana, Khajod Chokdi, Sachin Magdalla Road Surat, Gujarat, India. 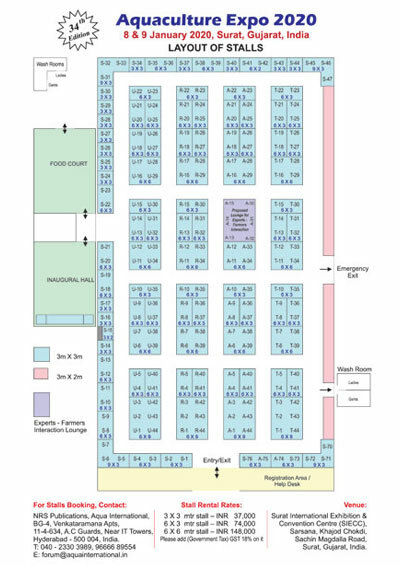 The main objective of the Expo is to bring awareness among aquaculture farmers on shrimp (Tiger & Vannamei) and fish culture, and various products, technology and services available to get better yield and results in aquaculture. There will be presentations on topics like Bio-security, Quality Seed, Pond & Water Management, Harvesting and Post Harvesting Management in the conference to be held on the occasion. 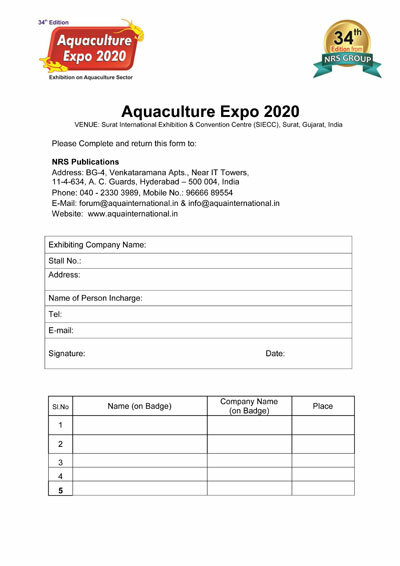 We invite the stakeholders of aquaculture sector to take part in the forthcoming expo with your stalls, which are allotted on first come, first served basis. 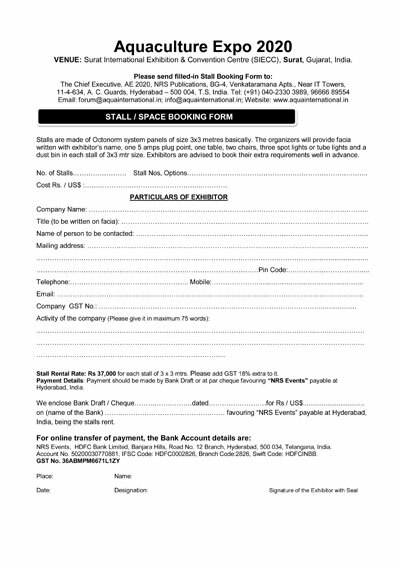 The Stall Rental Rate is Rs 36,000 each stall. Please add GST at 18% on the above tariff.